Whether you suffer from intermittent sleeplessness or are just looking for a way to improve the overall quality of your sleep, certain herbal teas may be able to help. Herbs like chamomile and passionflower have calming properties that can help you relax, decrease anxiety and promote restful sleeping. It’s easy to get overwhelmed by the myriad options available in your favorite store’s tea aisle, but here’s what you need to know to find the best tea for you. How Do Teas Promote Quality Sleep? Chamomile. 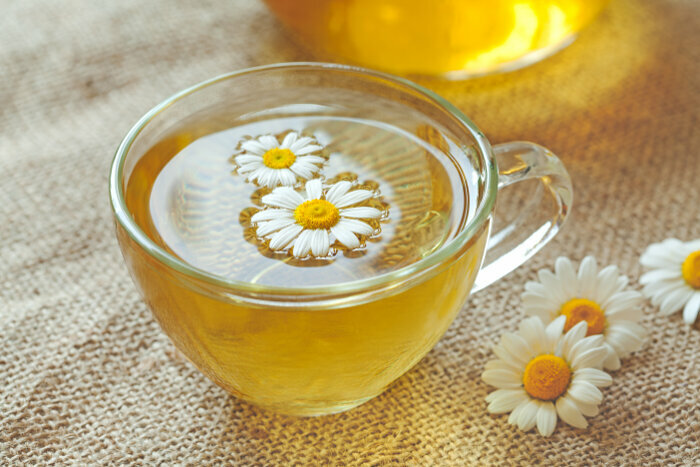 Perhaps the most common and well known herbal remedy for sleeplessness, chamomile has anti-inflammatory properties that help reduce the body’s response to stress and anxiety. It’s also been noted as a mild sedative, and one study on cardiac patients showed that 10 out of 12 patients fell asleep soon after drinking chamomile. Valerian. Valerian root is a powerful herb and may be slightly more difficult to find in tea form in regular grocery stores. Specialty tea shops and health food stores usually stock it. Valerian has been shown to shorten the time it takes to go to sleep and result in deeper, higher quality sleep. Passionflower. This herb provides its calming effect by stimulating production of an amino acid important in decreasing activity in certain brain cells, which helps calm the mind and prepare it for sleep. It may be especially helpful for those whose sleeplessness is due to anxiety. One double-blind study published in 2011 indicated that drinking passionflower tea before bed resulted in participants reporting improved sleep quality. Celestial Seasonings Classic Sleepytime Herbal Tea. Chamomile and lemongrass provide a calming effect, and the addition of spearmint provides an extra relaxation boost. The Republic of Tea Get Some ZZZ’s. This tea packs a triple punch of chamomile, valerian and passionflower combined with soothing rooibos to help you get some sleep without feeling groggy the next day. The Republic of Tea Get Relaxed. If you’re up at night because of stress or anxiety, the chamomile and passionflower in this blend can help your mind stop racing. This tea also contains eleuthero root, known to help promote relaxation and rest. Traditional Medicinals Nighty Night. This blend, widely available at most big box stores, includes herbs like chamomile, passionflower and lemongrass as well as spearmint and catnip. Yogi Bedtime Tea. Valerian, passionflower and chamomile form the base of this tea, but it also includes licorice, cinnamon and cardamom for a bit of extra flavor and a warm, comforting effect. Remember, each person has a unique response to the different herbs and their combinations. If the first tea you try doesn’t seem to yield results, keep trying until you find one that works for you. It can also take your body a few days to adjust to a new routine and begin to recognize drinking tea before bed as a signal to get ready to sleep. If you have chronic insomnia, a sleep disorder or are on any medications, it’s a good idea to check with your doctor before introducing herbal teas.